Welcome back! In our last training session we covered classes and how OOP can make programming/scripting easier. Today we'll be taking a breather and covering something fairly simple, bitwise operators. Bitwise operators are relatively simple. Essentially, when we use bitwise operators, we're writing in binary. Ones and zeros. We use bitwise operators to represent integers in binary. Today we're just going to learn how to read bitwise operators. We'll start by going over some key terminology, then we'll cover octets and their bit place values, the base two number system, and finally we'll read some binary. So, let's get started! If you have any questions about this terminology, please leave them in the comments section or just message me. You must understand these terms in order to proceed. Now that we know some basic terminology, let's explain the octet a bit more. Now, we've already discussed that one octet consists of eights bits. Also, eight bits makes up one byte. Now, each bit in an octet hold a different value. Here we can see our eight bit places with their respective numbers. Now that we know about the layout of an octet, we can discuss the base two number system. Now that we've covered the layout of an octet and it's bit place values, we can discuss the base two number system. This is the system used to determine the decimal value of a bit based on it's position in the octet. Bits can either be one or zero. A one indicates that bit as being on, while a zero indicates it as being off. If a bit is off, we don't calculate it's value. We only calculate the values of bits that are on. As the name implies, the base two number system works with a base number of two. In order to find the decimal value of a given bit, we take the number two to the power of that bits position. There we go! We can see that by taking two to the power of the bits positional value, we can calculate the decimal value of the bit! Now that we know how to evaluate individual bits, we can calculate the value of the whole octet! Alright, now that we know which bits we need to calculate for, let's do that. Remember, we need to take two to the power of the bits position. You can refer to the diagram under the base two number system section to review this. We've successfully calculated our octets value! 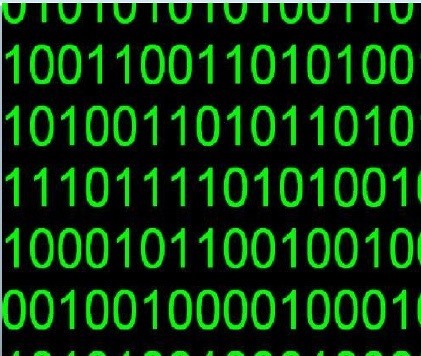 The binary numbers 01100101 are equal to 101. Let's wrap this up, shall we? Today we covered octets/bits, the base two number system, and how to convert binary to decimal (integers). We didn't do any coding this round, this is so we can understand what's happening before we do it. We won't be going in blind now! Next time we'll cover how to actually use bitwise operators in Python. Went into this tutorial like.. what? Turned out super simple, also i learned this in a visual basic programming class in high school so it was a nice refresher! Thanks!